I experiment with a lot of makeup and skincare products, being the beauty junkie that I am. Most of the time, I am relatively happy with the products I purchase, since I always do as much pre-purchase research as possible. Sometimes, however, I am disappointed by a product. Everyone has different tastes and expectations, so I don't intend for this to be a definitive "you will not like this product" post. I just think it is helpful to not only hear about the products that people love, but also those that they don't. 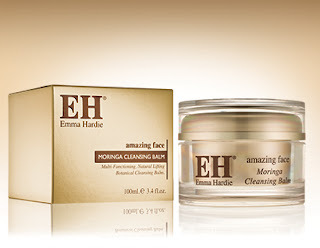 Emma Hardie Moringa Cleansing Balm: I know, I know. How dare I blaspheme by saying that I don't live and die for this product?! The honest truth is that I like the Emma Hardie Moringa Cleansing Balm. You might now be asking yourself why the hell it is on this list, if that is the case? In short, I think the hype around this product is what led to its downfall for me. For months, many of my favorite beauty bloggers and vloggers raved about this product. When I finally got my hands on it, I think I (subconsciously) hoped that it would do everything from remove my makeup, cleanse my skin, give me the most radiant complexion ever, and solve world peace. Suffice to say, it didn't live up to all of those expectations. It smells great and it's gentle on the skin, but it didn't perform any miracles. And I don't think it does that great of a job at removing makeup. I've used up the entire pot, and I doubt I will repurchase anytime soon. I'm going to try out the Clinique Take the Day Off Balm (a cult classic), and if that fails, I will resort to an old standby: MAC Cleanse Off Oil. BB Creams: This is one beauty trend that I cannot wait to see the backside of! 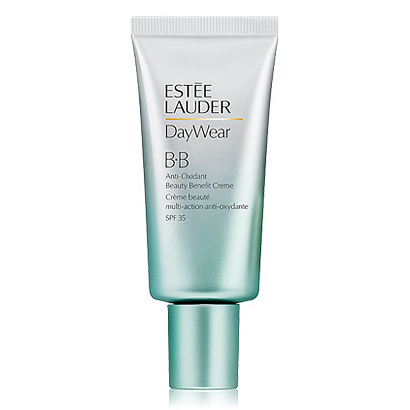 BB Creams originated in Asia, and then Western copies quickly oversaturated the market. I have never tried an original Asian BB cream (my mom loves the Missha BB Cream, though), so I can't comment on the authentic version. What I'm talking about here are the Western versions, most of which lack all of the skincare benefits that make a true BB cream, well...a BB cream. In my experience, BB creams smell odd, give cakey coverage, and only come in a very limited shade range. Given all of the wonderful foundations and tinted moisturizers out there (hello, Jouer or Laura Mercier, anyone? ), I have no desire to ever wear a BB cream. And, Jesus H. Christ, if anyone tries to give me a CC cream, I will have a minor meltdown in the beauty aisle. 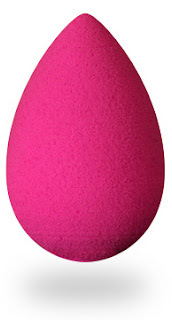 Beauty Blender: People talk about the Beauty Blender as if it is the second coming. I, for one, am less convinced. Moving up to brushes to apply my foundation, rather than using cheap cosmetic wedge sponges, was a revelation. My foundation was much more even, natural looking, and I needed to use less to get the same coverage. So the idea of returning to use a sponge, even a higher end one, was unappealing from the get go. But I gave into the hype surrounding the beauty blender and ordered it. It is different than the traditional sponge (you are meant to use it damp, for example), but I just didn't love it. I found that it took almost double the time to apply my foundation as with a paddle brush or my beloved Sigma F80 flat-top kabuki. And I didn't think it made my foundation look any better. There is a lot of talk that it works better with some foundations than others, and I will fully admit that I did not undertake a comprehensive test of the Beauty Blender with different foundations. I just shoved it to the back of my makeup storage. With that said, I eventually gave it to my mom, who loves it! So, to each his own. Just don't feel like you are the only one who doesn't get the appeal of this product. Glitter Nailpolishes: It's not that I never wear glitter nailpolishes, it's just that as a grown woman in a professional setting, they have no place in my life on a day-to-day basis. Unless I am going to paint my nails for a weekend event, glitter just isn't appropriate. And I don't find it to be chic or particularly flattering. 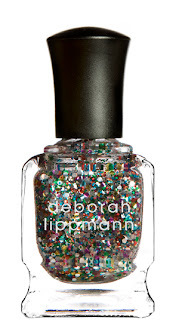 I would say the same about metallic polishes (which inevitably seem to come out streaky, regardless of the brand). Give me a good old fashioned cream polish, any day. Plus, the difficulty of removing glitter polishes would be enough to dissuade me even if I liked the look of glitter polishes. Who wants to have to soak their nails in acetone for 10 minutes to get their polish off? Ain't nobody got time for that! 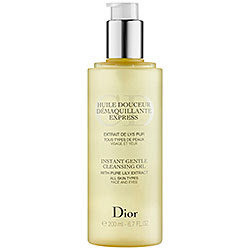 Dior Instant Gentle Cleansing Oil: As an oily skinned gal, I grew up thinking that oils were my worst enemy. It wasn't until a trip to a Clarins counter at Selfridges in my early 20s, when I was sold a Lotus Face Treatment Oil, that the penny dropped. I realized that constantly stripping my face of oils was just making my skin produce more oil and introducing various oils into my beauty regime actually helped balance my skin. Since then, I've been a convert and use a variety of oils in my routine. In terms of makeup removal, I love a good oil cleanse. I was excited to see that Dior had introduced a new cleansing oil to the market and I quickly picked up a deluxe sample from Sephora. To my disappointment, Dior's Instant Gentle Cleansing Oil failed on all fronts: it has a terrible smell (supposedly lilies) and does a poor job of removing my makeup (especially waterproof mascara). While I highly recommend using cleansing oils to remove your makeup, I can't get behind this one.